chemical product hose / for beverages / high-pressure / cleaning - Tygon® B-44-4X I.B. The Tygon® Pressure Tubing offers less tubing footage, fittings and labor in the system because of its rapidness and flexibility. It also has the capability to hold the tubing pressure because of a polyester inner-braid. 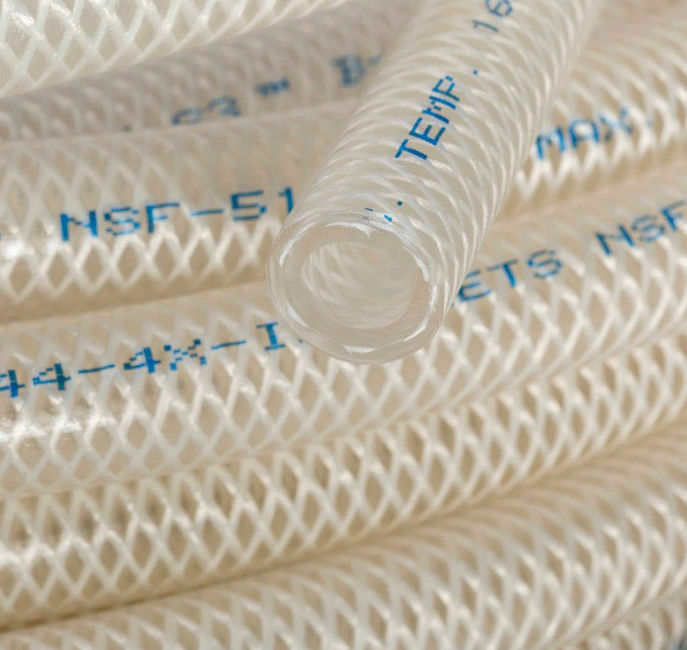 Tygon® Pressure Tubing is compatible with almost all non-solvent chemicals. It attains the requirements of many industries where flexibility and higher pressure are needed. Its clear wall allows positive flow monitoring and inspection. Meanwhile, the inner bore of the unit is smoother than all stainless steel. Furthermore, the pressure tubing is ideal for food and beverage purposes because it will not trap the bacteria-harboring particles.